Cunard offer 5* ships with a luxury and traditional cruise experience, which is great for couples and singles alike. By assigning restaurants based on stateroom category, Cunard maintain the original age of cruising, and afternoon tea is still a white-glove affair. 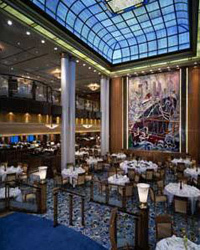 Cunard exceed their guest’s expectations by offering impeccable ‘White Star Service'. 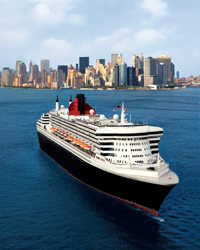 The transatlantic crossings will attract an older clientele, however Cunard also have facilities for children on board. The dress code ranges from formal to elegant casual (jackets are required for men but no tie). Dining in the main Britannia restaurant is fixed 2 sitting dining (early or late). However, for guests in suites, the dining is in the Princess Grill or Queens Grill and these restaurants operate a single seating option between 6:30 and 9pm. A choice of alternative dining options are available (some at a supplement) including a restaurant created by Todd English. Cunard offer cruises of any duration, from short break cruises to longer world voyages, sailing from the UK or fly cruises to a variety of destinations. Currency on board is US$ and gratuities are automatically added. Asia, Africa, Australia & New Zealand, Fjords, Baltic, Mediterranean, Canary Islands, Iberian Peninsula, Caribbean, USA & Canada including Transatlantic Crossings and World cruises.